According to Autoblog, Nissan executives are not that happy with the Nissan Juke-R. Rather than seeking approval from Nissan, they started the project, and seeked approval later. Sometimes with a large company, this is the way to go. Ask forgiveness, rather than permission. A horse built by a committee is a camel. 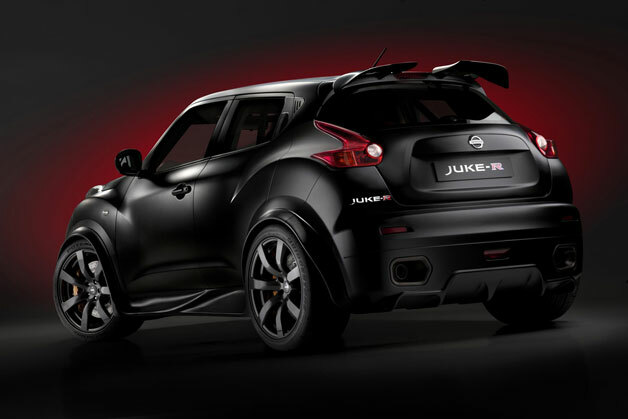 The UK team behind the Juke R apparently didn't seek approval from Nissan's higher-ups before beginning the build, and the unholy GT-R/Juke hybrid concept was apparently born in secret before the unending teasers – see the latest one after the jump – began making their way online. VIDEO 10 - SHAKEDOWN AND TESTING - The moment has finally come for Juke-R to hit the track! With the build complete, engineers take Juke-R to MIRA proving ground to check all systems work correctly before heading to Silverstone to push the car's limits. It looks like a Juke but sounds like a GT-R, and performs like one on its first circuit tests. The build video series is now complete, but there is still much more to come from Juke-R - watch this space! Sounds like nothing has changed with them. Disco Potato anyone? I'd have to say that the GTR-Juke looks pretty good. Pretty bold of them to design a car without corporate's permission though.